The Lithium Series dual speed torque gun provides the speed and convenience of a pneumatic torque gun without the noise, vibration and load variation.The Lithium Gun is a precision torque/tension compatible machine that you can set and get your desired load. The Lithium Gun uses precision gearing to produce constant, calibrated power assuring that you will achieve bolt load within your window of accuracy every time.It give Bolt Load Accuracy Within ±5%.The Lithium Gun is a precision torque/tension compatible machine that you can set and get your desired load. Final Torque and Angle Capabilities.The highest power-to-weight ratio of any battery powered torque gun. 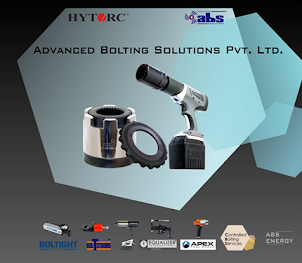 High quality components ensure superior performance and durability. Its aluminum frame makes it lightweight yet resistant to damage. 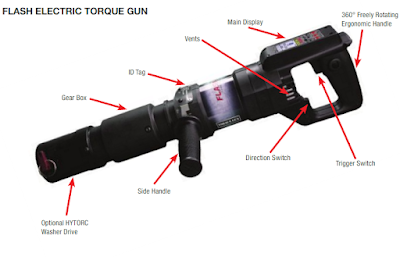 Each LithiumTorque Gun is supplied completely assembled and ready for use. • RUNDOWN MODE: Used to run nuts down to seated position ready to torque. • TORQUE MODE: Used for final torqueing in TORQUE ONLY and TORQUE AND ANGLE sub-modes.To switch between RUNDOWN and TORQUE settings, flip the gear select switch located underneath the front aluminium bearing housing. In the rare event the gear selector doesn’t engage, a very brief pulse from the trigger is all that is needed to allow gear engagement. To install the battery pack into the tool handle, align the base of the tool with the rails in the tool handle and slide the battery pack firmly into the handle until you hear the lock snap in to place. 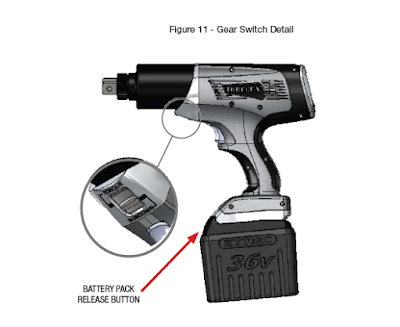 To remove the battery pack from the tool, press the release button (as shown above) and firmly pull the battery pack out of the tool handle. 1. Plug the charger power supply into the charger cradle using the three pin plug, then tighten the retaining collar on the plug. 2. Plug the charger power supply into an appropriate outlet before inserting a battery pack. 3. Insert the battery pack into the charger cradle. The charger is equipped with a two light charge.Indicator that will be either red or green according to the state of charge of the battery pack. 4. The completion of the charge is indicated by a green light which also indicates an idle state. The pack is fully charged and may be used at this time or left on the charger. The LITHIUM gun battery charger can operate at 110V or 220V AC. The plug is configured for North American outlets so other regions may require adapters. Each electric torque gun is equipped with a universal reaction arm. The reaction arm is used to absorb and counteract any opposing forces created by the operation of the torque gun. Use the appropriately sized reaction arm or HYTORC Washer based on your application. Upon power up, the LITHIUM gun will initialize and show the main display screen as shown in Figure 12. 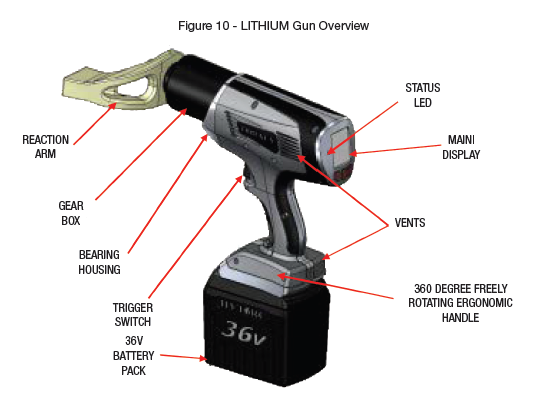 At start up the LITHIUM gun is ready to operate at the initial or the last Torque, Angle and Release angle settings. If these settings are correct and when ready to tighten a fastener, place the gun on the application and pull the trigger, the display will then ask the operators to “Press any Button to Continue”. This step is to ensure the operator removes his second hand from the path of the reaction arm. While continuing to hold the trigger the opposite hand should press any button on the display to start the tightening process. Continue to hold the trigger until the gun comes to a complete stop. While torqueing, the AMBER LED will light up showing BUSY. When done, the torque gun will beep once and the GREEN LED will turn ON. In case of error, the torque gun will beep 4 times and the RED LED will be ON. If failed, an error message will be shown on the display screen. If Release angle is set, the gun will automatically run backwards to the specified angle to release windup from reaction torque. To change or set torque, angle and release angle see “Setting Torque and Angle” section. To loosen, press the center button. The torque setting will be automatically set to the maximum allowed torque for the particular type of gun, i.e. 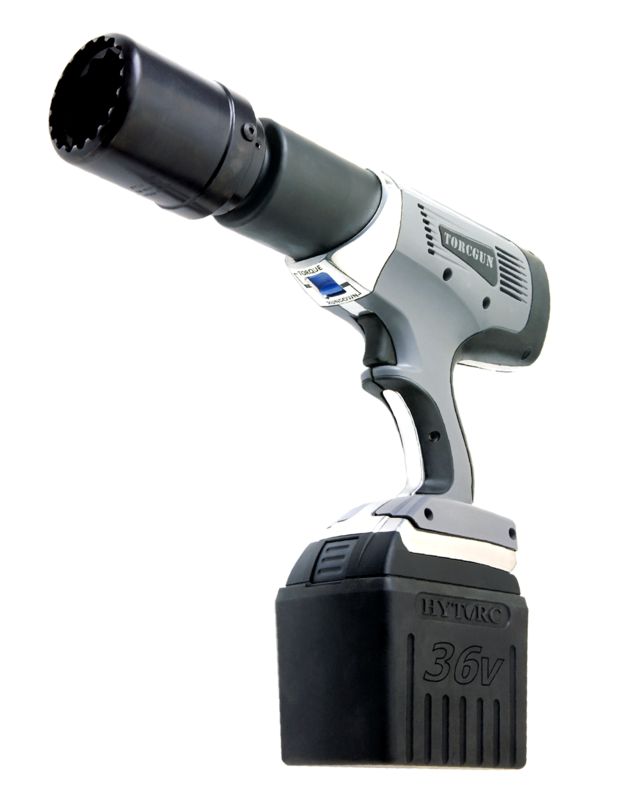 for BTM-1000 Series LITHIUM guns, the MAX Torque is approximately 1200 ft. lbs. 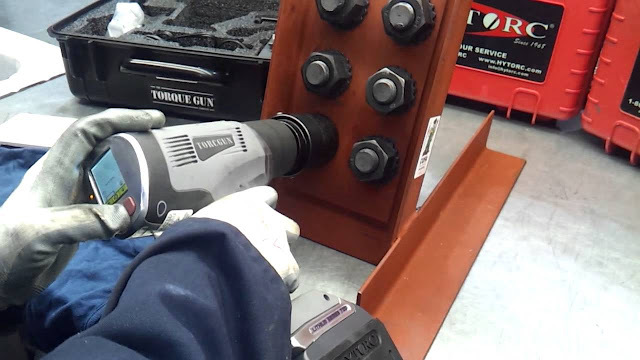 Press and hold the power trigger switch while the socket turns and loosens the nut. In reverse direction, the torque gun is set to maximum torque in order to loosen the nut. Use extreme caution when running in this mode. Torque: Allows the operator to enter the target torque that the gun will seek when the trigger is pulled and held. Angle: If an angle setting is above “0” the gun will add this angle of rotation to a completed torque operation using the maximum output of the unit. Release Angle: After completing an operation, the gun will automatically run backwards the specified angle to release windup from reaction torque. Press and hold center key with right facing arrow to toggle from screens for setting Torque, Angle and Release Angle. While on screen, use up and down arrows keys to select value. Note: Set the Angle to 0, if working only in Torque Mode. The LITHIUM gun is ready to operate once the desired Torque setting is entered. There is no need to toggle through Angle and Release angle screens if they are already set to 0. 1. Make sure the torque gun and the reaction arm are in position for tightening. 2. Ensure the reaction arm is squarely against a solid reaction point. 3. Pull the power trigger switch, the press any button with your opposite hand. 4. When specified torque is reached, the LITHIUM gun will BEEP once and the Green LED will turn ON. 5. If Release angle is set, the gun will automatically run backwards the specified angle to release windup from reaction torque. 6. If the LITHIUM gun fails to set the torque properly, it will BEEP 4 times and the Red LED will turn ON while also showing the error on the display. In case of error, try again by repeating process from Step 3. If error continues, STOP and check for any abnormalities with the LITHIUM gun or the nut/bolt being tightened. 7. Release the power trigger switch. 8. If the trigger is released prematurely, the display will show an error and the Red LED will be ON. In this case, restart tightening process from step 3. 9. The nut is now tight at the current torque setting. Proceed to the next nut. 1. Follow the steps in Tightening above from 1 to 3. 2. When preset torque is reached, the LITHIUM gun will turn the nut in degrees set by the Angle. 3. When the specified angle is set, the gun will BEEP once and the Green LED will turn ON. 4. Proceed and follow steps 5 to 9 in Tightening above. 1. Set the direction to loosen by pressing the middle button. The torque setting will be automatically set to the maximum allowed torque for the particular type of gun, i.e. 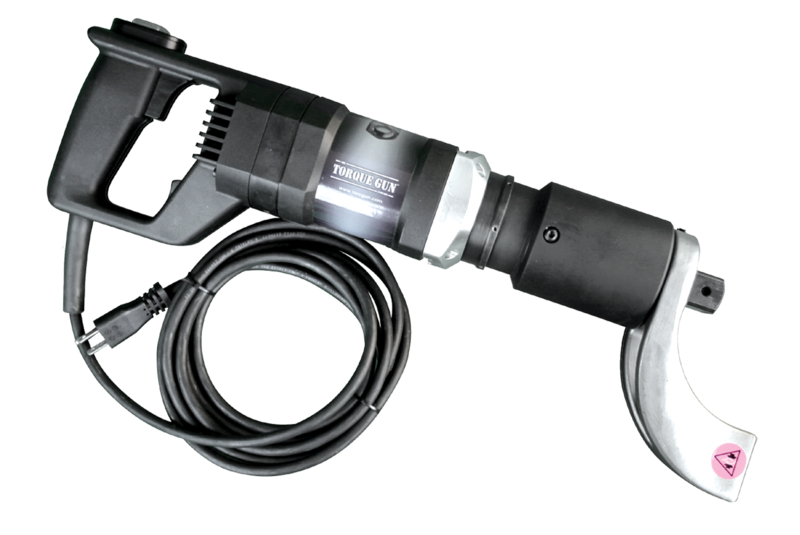 for BTM-1000 Series LITHIUM guns, the MAX Torque is approximately 1200 ft. lbs. 2. Make sure the torque gun and the reaction arm are in position for loosening. 3. Make sure the reaction arm is squarely against a solid reaction point. 4. Press and hold the power trigger with one hand. Then, when prompted, press any button with the other hand to start. 5. Release the power trigger switch when the nut is loose enough to be removed by hand. It is ideal for Infrastructure and Power Generation Industry. 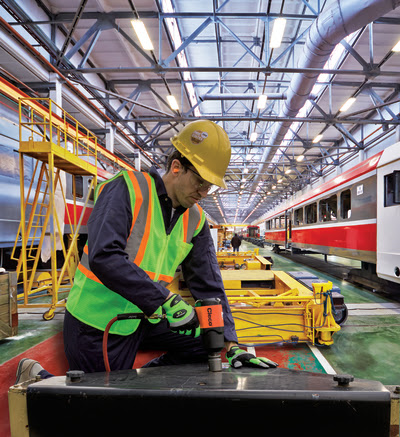 An electric torque wrench is a gearbox that is connected to an electric motor. This gearbox is designed in such a way that it absorbs the torque, allowing the user to operate the wrench with minimal effort. These are typically used when there is no need for torque strength accuracy being used on the nut or bolt, or when a very stubborn nut needs to be removed. The gearboxes can be of ratios of up to 4000:1. and this is adjusted by controlling the voltage. Due to the fact it is powered by electricity, you can find waterproof models for when water is a concern on the jobsite. It is often confused with an impact wrench due to its similar design, but it is in fact a totally different tool, and is even more different from a hydraulic torque wrench. It all comes down to the job and getting the right tool for it. 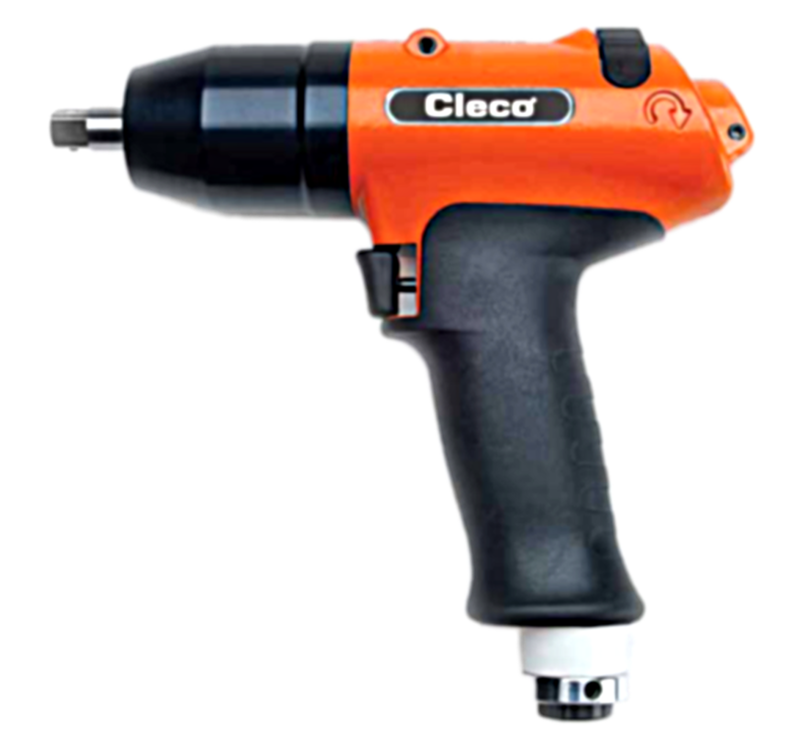 Each electric torque gun is supplied completely assembled and ready for use. A side handle is supplied for better hold and grip during operation. Each electric torque gun is equipped with a universal reaction arm. The reaction arm is used to absorb and counteract any opposing forces created by the operation of the torque gun. Use the appropriate size reaction arm or HYTORC Washer based on your application. 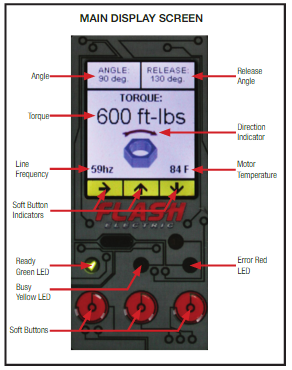 The FLASH GUN can operate at 110V or 220V AC based on the model configuration. Ensure proper voltage is present at the power outlet and insert the power chord into the nearest 110V (black cord) or 220V (yellow cord) outlet. Upon power up, the FLASH GUN will initialize and show the main display screen. At Start up the FLASH GUN is ready to operate at the initial or the last Torque, Angle and Release Angle settings. 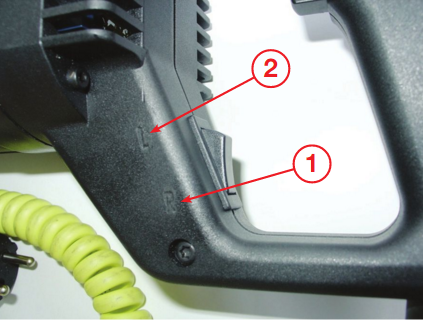 If these settings are correct and when ready to tighten a fastener, place the gun on the application and press the trigger until the reaction arm firmly makes contact with the reaction point. Press and hold the trigger until the gun comes to a complete stop. While torquing, the YELLOW LED will light up showing BUSY. When done, the torque gun will beep once and the GREEN LED will turn ON. In case of error, the torque gun will beep 4 times and the RED LED will be ON. If failed, an error message will be shown on the display screen. If Release angle is set, the gun will automatically run backwards to the specified angle to release windup from reaction torque. To change or set Torque, Angle and Release Angle see the “Setting Torque and Angle” section. torque for the particular type of gun, i.e. for FG3 Series FLASH-3 GUNS, the max torque is 3150 ft. lbs. Press and hold the power trigger switch while the socket turns and loosens the nut. In reverse direction, the torque gun is set to maximum torque in order to loosen the nut. Use extreme caution when running in this mode. The FLASH GUN can operate on both left hand and right hand threads. See the “Additional Options” section for changing to/from left hand or right hand thread modes. Release Angle: After completing an operation, the gun will automatically run backwards to the specified angle to release windup from reaction torque. 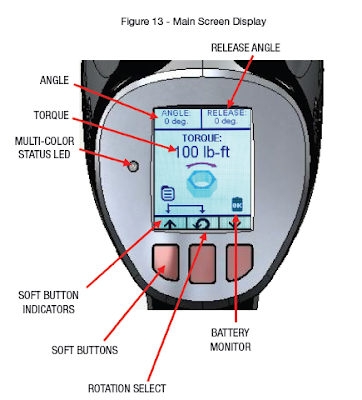 The main screen shows three settings for Torque, Angle and Release Angle. The three settings are toggled with the left most soft button. Increase and decrease each value by using the center and right-most soft buttons. to the “Right Arrow” to go to the next screen for setting the angle. 3. Set the desired angle by pressing the soft buttons corresponding to the up/down arrow key indicators. When desired angle is displayed, press left-most soft button corresponding to the “Right Arrow” to go to the next screen for setting the release angle. 4. Set the desired release angle by pressing the soft buttons corresponding to the up/down arrow key indicators. When desired release angle is displayed, press left-most soft button corresponding to the “Right Arrow” to go back to main screen with the torque setting. 7. If Release angle is set, the gun will automatically run backwards to the specified angle to release windup from reaction torque. 8. If the FLASH GUN fails to set the torque properly, it will BEEP 4 times and the Red LED turn ON while also showing the error on the display. In case of error, try again by repeating process from Step 3. If error continues, STOP and check for any abnormalities with the FLASH GUN or the nut/bolt being tightened. 9. Release the power trigger switch. 10. If the trigger is released prematurely, the display will show an error and the Red LED will turn ON. In this case, restart tightening process from step 3. 11. The nut is now tight at the current torque setting. Proceed to the next nut. section. 3. Follow the steps 3 to 5 for Tightening above. 4. When preset torque is reached, the FLASH GUN will turn the nut in degrees set by the angle. 5. When the specified angle is set, the gun will stop, BEEP once and the Green LED will turn ON. By pressing the left-most button and holding it, the memory menu will be displayed. Figure 13 shows the memory options menu. On this menu, you can save the current settings, or load previously stored settings. 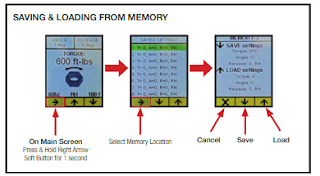 There are 8 memory locations for saving and loading both torque and angle settings. Use the up and down arrow keys to choose from the highlighted numbered memory locations. Press the left-most button to select the current memory location. Press the corresponding down arrow key button to save the current settings to the selected memory location. To load the contents of the memory location, press the corresponding up arrow key button. To return to main menu without saving/loading, press the left-most button. 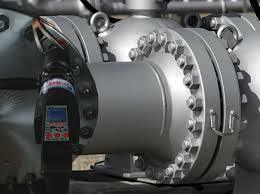 It is ideal for Infrastructure and Power generation Industries. Impact wrenches are powered socket tools, powered by compressed air or electricity, they are one of the most common and useful tools in both the professional, and serious amateur workshop. 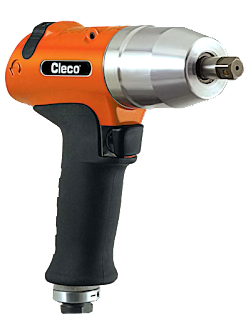 Impact wrenches work by spinning a "hammer" to a high speed, and then suddenly engaging the socket, to deliver a sudden burst of torque. 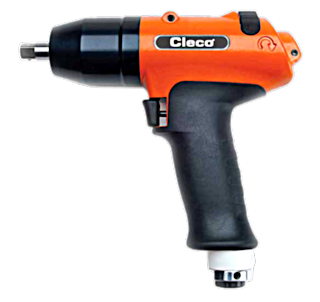 While electric (both mains and cordless) and hydraulic models are available, it is the air impact wrench which is by far the most popular. Air impact wrenches are by far the most popular of all air tools, and if you're doing any serious amount of automotive work you'll definitely want one. Before you rush out and make a purchase however, there are a couple of considerations - power source, and socket size. Power source will depend on your budget, and what tools you already have. Socket size will depend on the type of work you're doing. As already mentioned, air impact wrenches are by far the most popular, but that doesn't mean they are your only choice. While they are relatively inexpensive, and offer good power, they do need a compressor as a power source. Unless you already have a suitable compressor that will add a considerable amount to the cost of the tool. If you don't have a suitable compressor, and are doing only occasional or light automotive work (such as in a home workshop) then an electric or cordless wrench is probably a better bet. These days the cordless wrenches are more than capable of light work, and are reasonably priced. Your other main choice will be socket size. Most impact wrenches are available in sizes from 1/4" to 2" and even larger. For the home workshop a 1/2" is usually sufficient, with a 1" drive being more suitable if you're working on SUVs or light commercial vehicles. If you're working on big rigs then a 2" drive might be needed. Larger than 2" is normally only used for industrial purposes. There is one other choice to me made, and that is style. The smallest wrenches are shaped like a screwdriver, but they are only capable of delivering low torque. Most 1/2" wrenches are of the "pistol grip" variety, shaped like an electric hand drill. As you move up to heavier duty tools you'll start to come across D and T grips which allow for a much firmer hold, and so much higher torque levels. Steel front/motor housing/handle are clamped together by four high-strength steel bolts. This exclusive feature provides better tool performance and eliminates stripped threads and loose inserts in motor housing. Impact Wrenches feature a unique oil-foam bath that provides positive lubrication for the hammer, anvil and other working parts. The system is designed so that if the impact mechanism runs low on oil, the tool will stop running which eliminates one of the major causes of impact wrench failure: lubrication. By simply refilling the oil reservoir, the tool can be returned to service. The smooth-hitting telescopic impact mechanism is patented and has only three major parts: hammer, anvil, and rotor. These combine to provide power directly to the fastener. The hammer is splined ot the inside of the motor, which then impacts directly on the anvil and delivers more power per blow while also reducing weight and shock to the operator. With a variety of shut-off and non shut-off pulse tools to choose from you're sure to find just the right pulse tool for your job. The correct style for you will depend on the type of work you'll be doing, so take that into consideration when making a purchase.